My life is constantly changing focus. Sometimes I’m working hard, other times I’m a father or a friend. Sometimes I need to increase emphasis on learning something new or abandoning old things (girlfriends). 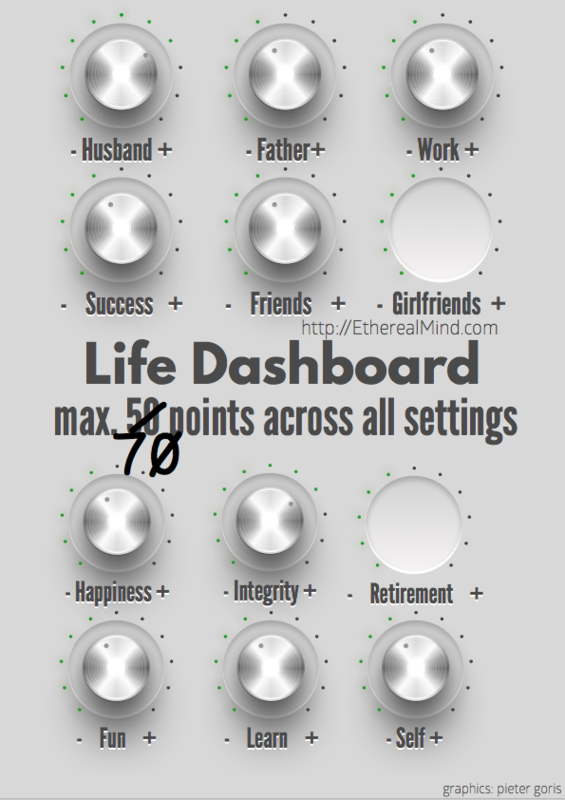 I wish my life was like this dashboard where I could turn all the knobs to ten but I can’t. I only get 70 points. When I was younger it was only 50 points so maybe I’m getting better at life. My final knob is reserved for retirement. I haven’t got there yet but as I get older, I need to think about that a bit more.